Even if you were not a driver or passenger of one of the vehicles involved in an accident, you may still be entitled to compensation. When we think of motor vehicle accidents and the claims that arise as a result of them, we often come to the conclusion that they can only involve motor vehicles and only those who were in the cars as the drivers or passengers can claim, however, this simply is not the case. Historically, the majority of compensation claims that have been put through the system concern two motor vehicles colliding. As cycling has continued to grow in popularity in Western Australia, however, we have seen an increasing number of accidents involving cyclists. The number of claims involving pedestrians has also risen over more recent times. In 2017, 10 per cent of all fatalities on Western Australia’s roads involved a cyclist and almost 16 per cent involved a motorcyclist. 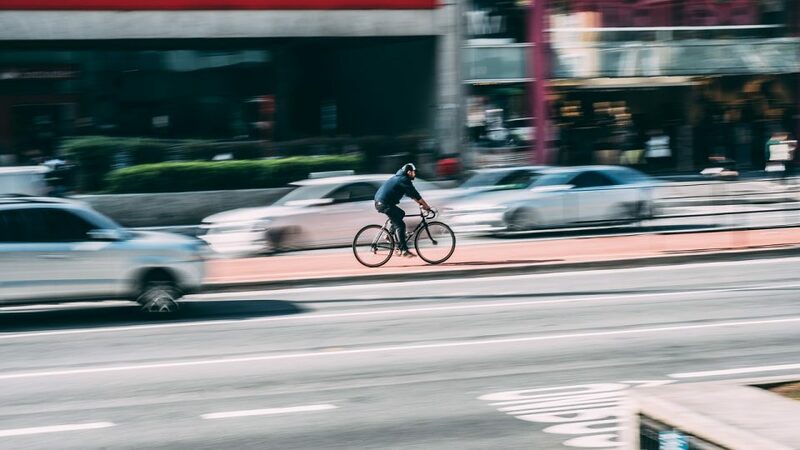 During a motor vehicle accident, particularly in a built-up area, it is increasingly the case that other people are involved too, whether they are cyclists, pedestrians, or public transport users. When a pedestrian is hit by a car or a cyclist is knocked from their bike, there is the potential for very serious injury. Statistics have actually shown a sharp rise in people other than those occupying a motor vehicle being seriously injured, both physically and mentally, following a motor vehicle accident in WA. In fact, in 2017 in Western Australia, there were an estimated 161 individuals killed on the road. All road users need to be vigilant. Car accidents in WA that involve cyclists, pedestrians, and motorcyclists typically culminate in serious injuries that can be life-changing. This is hardly surprising given the obvious difference between being involved in a motor vehicle accident whilst on foot or on a bike and being involved in a motor vehicle accident when inside a car and with your seatbelt on. The Insurance Commission of Western Australia (ICWA) reports that whilst 18 per cent of all claims received involve a pedestrian, cyclist, or motorcyclist, the compensation payments to these people represent 40 per cent of the total compensatory payout. This statistic alone illustrates just how devastating injuries can be for cyclists, pedestrians, and motorcyclists involved in a car accident in WA. Car Accidents in WA: Who Can Claim? The underlying premise is that anybody who is not at fault and has been involved in a motor vehicle accident, has suffered a physical or mental injury, irrespective of whether the person was in a motor vehicle, on foot, on a bicycle, or on a motorcycle, is entitled to compensation and can, therefore, make a claim. Being on foot, on a bicycle, or driving a motorcycle has no bearing on the compensation to which you are entitled—all that matters is that you were injured. The extent of your injuries, both mental and physical, alongside other factors and appropriate evidence will be weighted to determine the monetary amount of compensation you can be awarded. As there is no automatic eligibility for compensation as an ‘other road user’ or pedestrian, there needs to be a system in place to decide who is and is not entitled to compensation. In Western Australia, this is known as the “Fault-Based Scheme”, the premise of which relies on negligence being established and proven against the other driver or user of a motor vehicle. In simpler terms, it means that as an ‘other road user’, you are only entitled to compensation if you were injured as a result of a motor vehicle accident in WA and you were not totally or predominately responsible for the accident. The other person involved needs to be predominately at fault. If, for example, you crossed a road suddenly into the flow of traffic and were ran over, any injuries would have been caused by, predominately, your own negligence and you most likely could not be compensated for any injuries suffered. Of course, this is an extreme example. Cases are rarely quite as clear cut as this and therefore determining the circumstances of each case and who was primarily at fault is something that is vitally important to each claim. Assessing whether you, as an ‘other road user’ or pedestrian, can make a compensatory claim rests entirely on the question of whether the accident was primarily caused by the driver of the other motor vehicle. Your individual circumstances are what matters when it comes to making a claim for physical or psychological injury after a car accident in WA. Since claims involving pedestrians, cyclists, and motorcyclists are inherently more complicated and restricted in terms of eligibility and timeframes, it is important you seek advice promptly and begin the process of lodging your claim. Our personal injury lawyers in WA are experienced in dealing with these types of matters. Call us today on (08) 9211 5800 and book your free, no-obligation claim assessment, or fill in your details here and we’ll quickly be in touch. I’ve been injured in a motor vehicle accident in WA. What should I do?